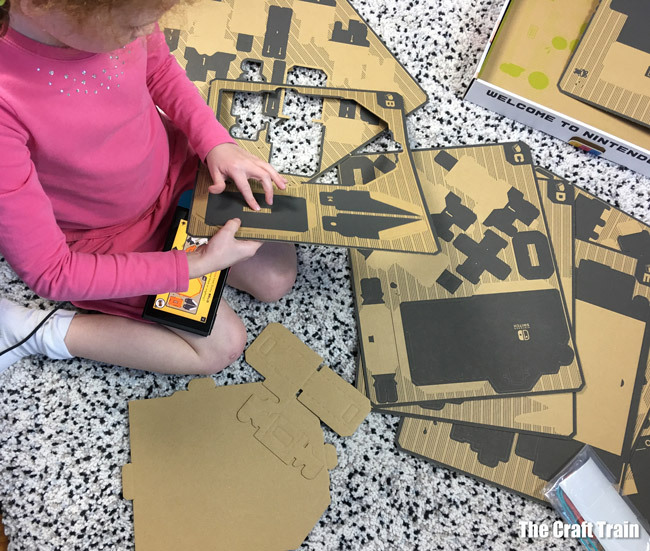 We were recently asked to review the Nintendo LABO interactive toy for kids, a cardboard craft set that works in conjunction with the Nintendo Switch console. To be honest, my kids were far more excited about this than me. Super duper excited to be exact because they love anything that involves technology – sometimes a little too much. 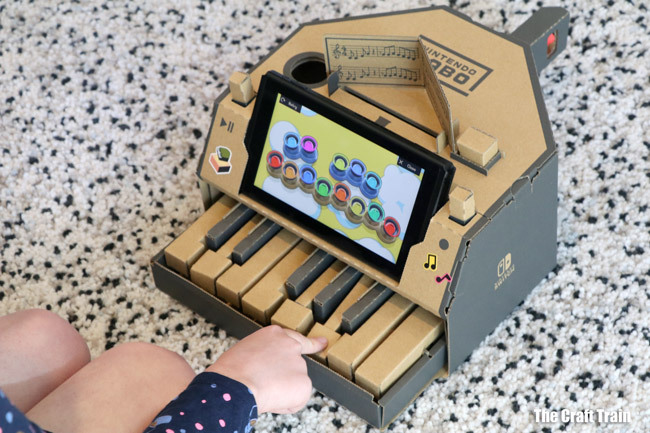 I adore cardboard crafts, but was a bit apprehensive that a shiny new tech gadget would lead to more screen time quarrels. 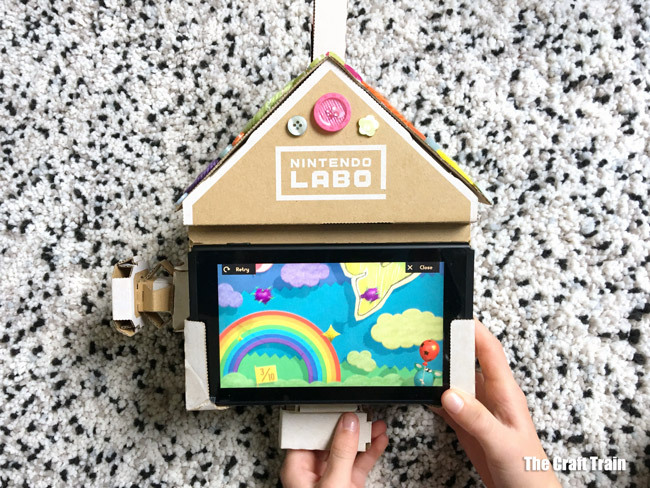 However, Nintendo LABO is a tech product with a difference. 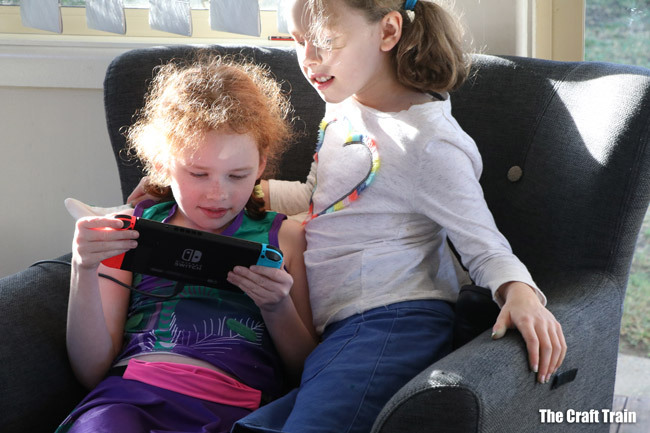 What I like about Nintendo LABO is that it utilises a screen in a way that doesn’t turn my girls into bleary-eyed zombies. 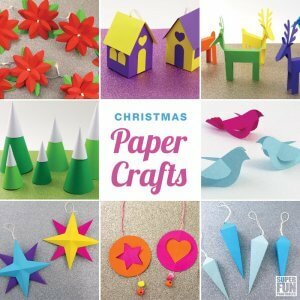 It has been created with the motto “Make, Play and Discover” in mind and involves folding, constructing and building from cardboard templates using animated instructions. 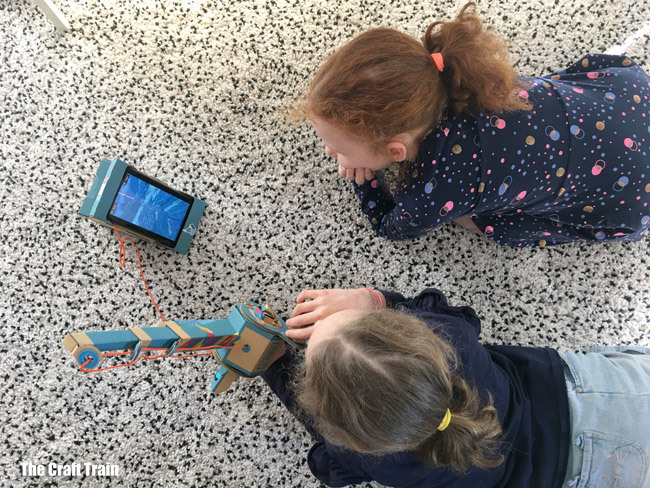 Although they are watching the screen, they are working with their hands in the real world to build something with a functional end purpose. 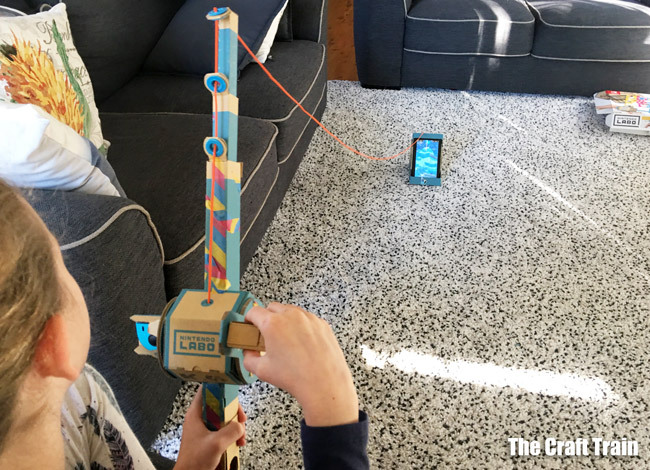 When finished, their cardboard craft interacts with the Nintendo Switch screen and Joy-Con controllers using toggles, buttons and levers they have made themselves providing a unique play experience. 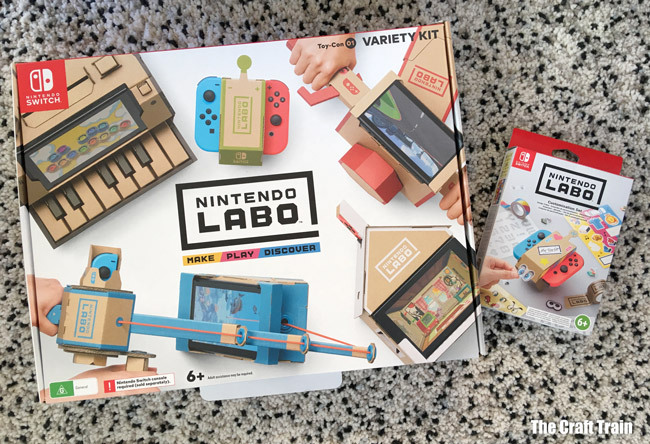 The Nintendo LABO Variety kit IS a pretty cool. 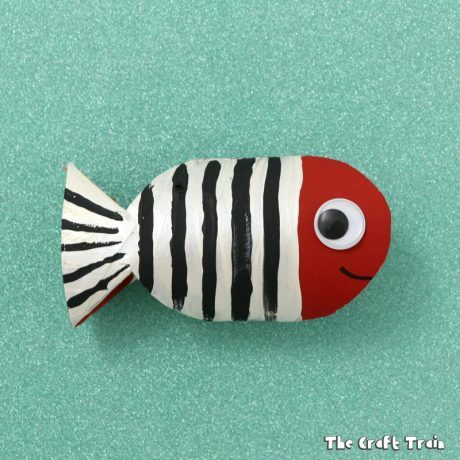 You can make an RC Car that moves, a working piano, a retractable fishing rod, a cute cardboard house and motorbike handle bars that steer. 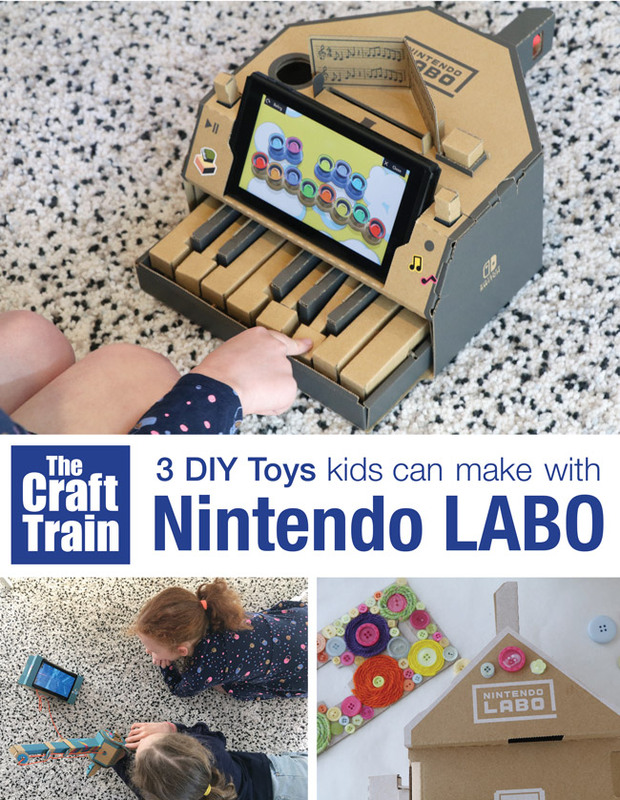 These projects are called “Toy-Con”. 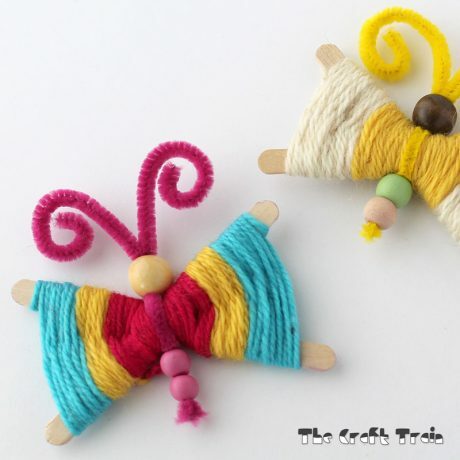 Once the crafts have been made they can be customised and decorated any way you choose. There is also an extra customisation kit you can purchase which has different options to customise the Toy-Con projects once made. Secretly, I thought I would probably need to step in a give the girls a fair bit of help with the tricky bits – but I was wrong. 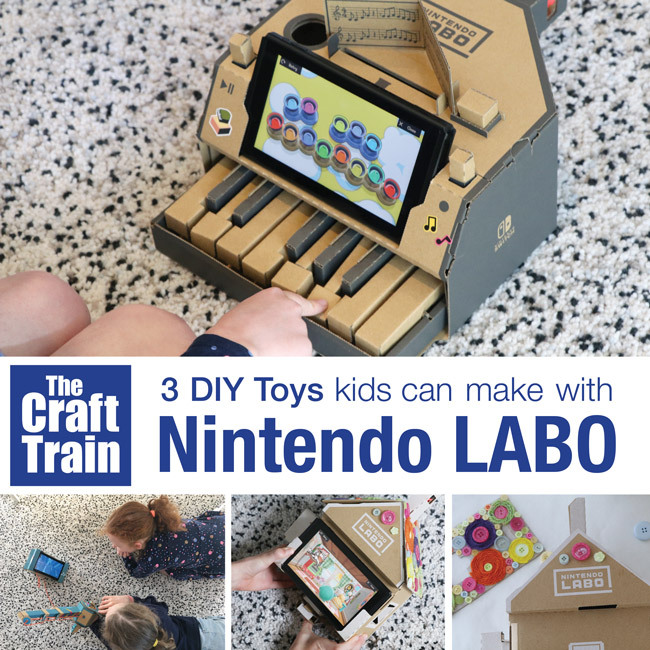 They didn’t need me at all and managed to make everything in the kit by themselves, including setting up the Nintendo Switch console straight from the box. 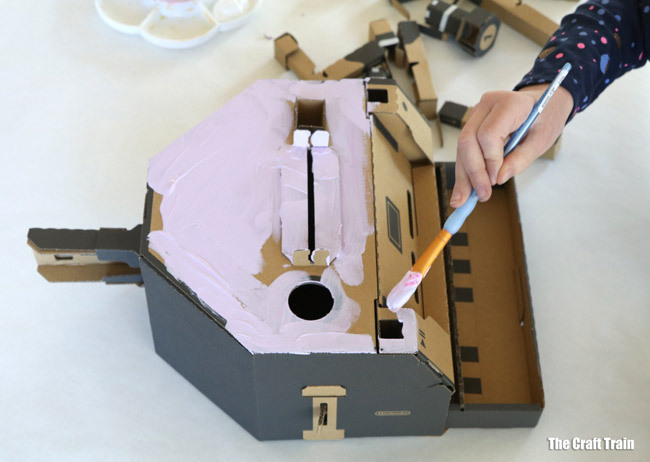 The cardboard construction projects each take a while to complete, so it kept them busy for ages. At times they got distracted and wanted to do something else for a while but they always came back to it later. Miss 10 chose the piano to work on first. This was the most time consuming of all of the projects, but she remained focussed and built most of it in an afternoon, then finished it off the following morning. Scroll down to the video at the end to see the piano in action. 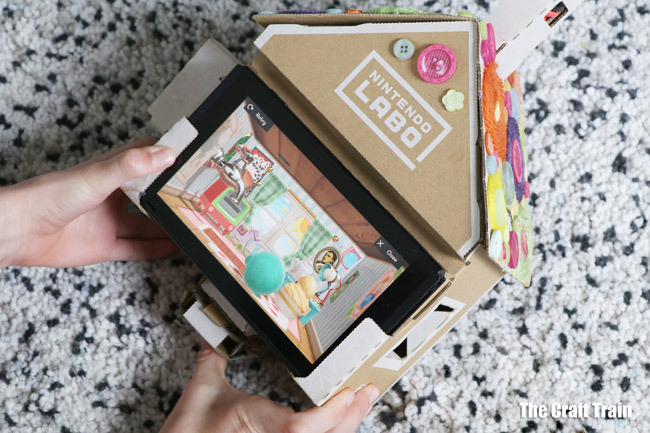 The Nintendo Switch console and Nintendo Labo software give step-by-step instructions, which they can go through at their own pace. If they are not sure about something, they can backtrack and watch it again. 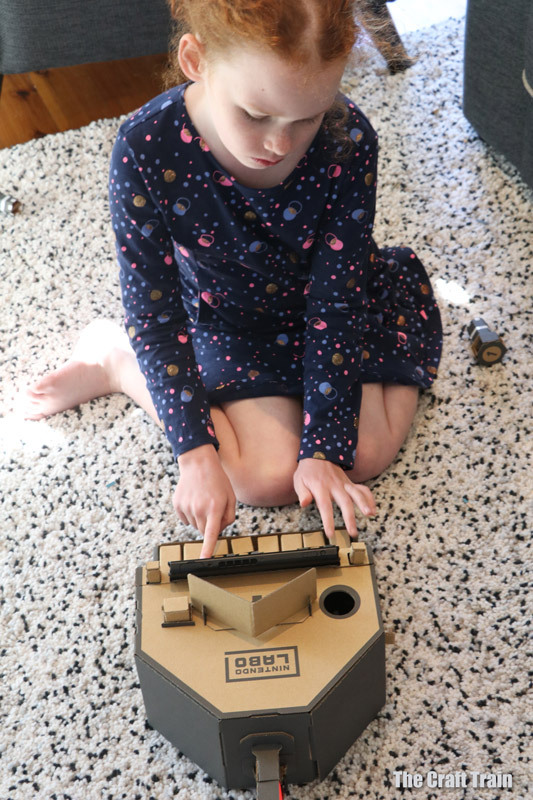 She was very excited to put the finished piano into action. 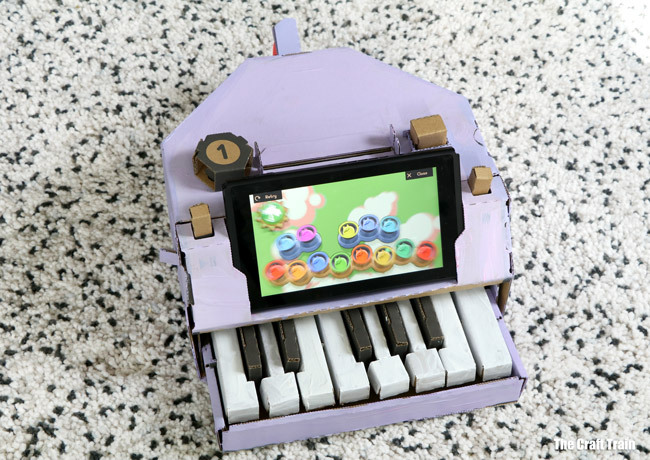 Once created you can experiment with different sounds, shake the joy-con controller to get a percussion effect and make some music! After playing with it for a while my daughter decided she wanted to paint her piano, so she pulled the pieces apart and painted each one, then allowed them to dry before putting it back together. She was pretty happy with the end result. Doesn’t it look amazing? Miss 8 wanted to make the fishing rod. She has a knack for building things and had no trouble putting it together. 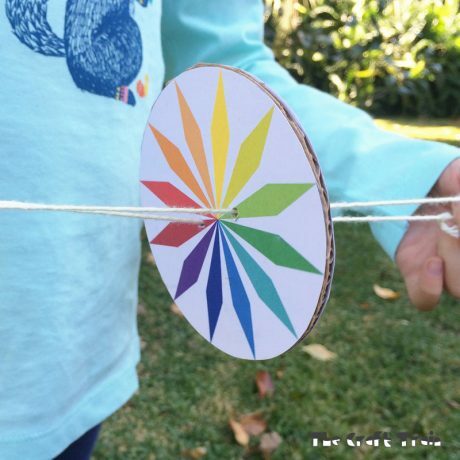 When it’s built, the fishing rod can extend and retract, and the cardboard reel winds back and forth to draw in and let out the line just like a real fishing rod. The line disappears into the screen to catch fish, sharks and more earning points for each catch. 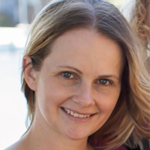 She enjoyed going fishing from an armchair in our lounge room! 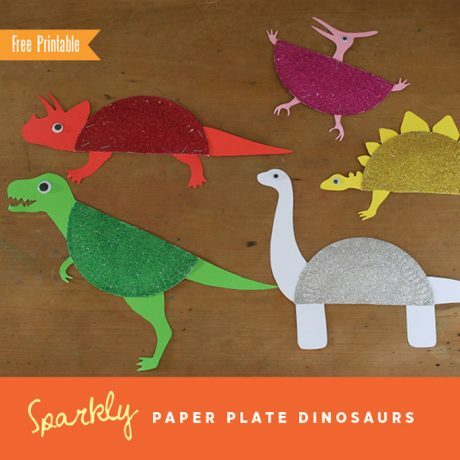 I was going to attempt one of the projects myself, but the kids were having so much fun with it I left the construction part to them and satisfied my creative itch by decorating it instead. Of all the games, the house is the one the girls love best and have spent the most tome playing. 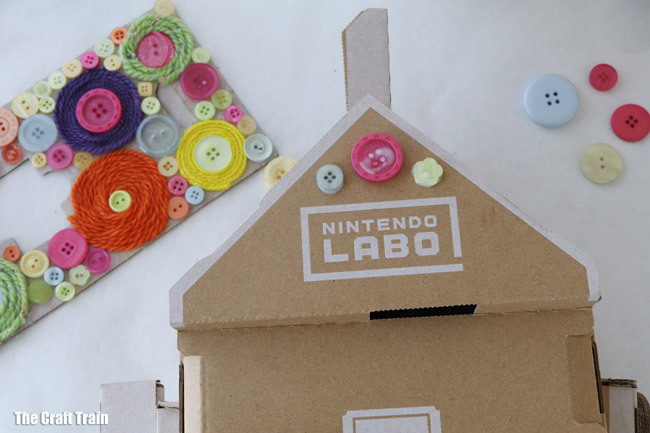 To customise it I decided to create a button and yarn collage on the roof, using plain PVA glue to stick it down with. 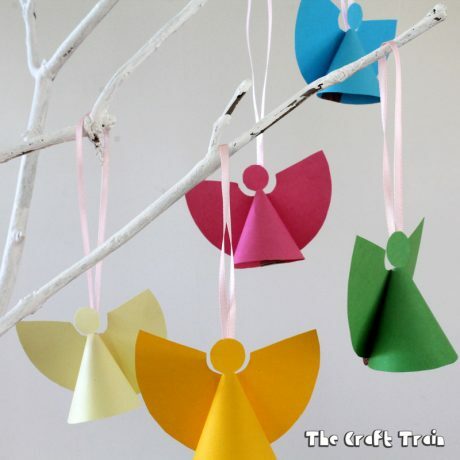 I love that the crafts can be painted, decorated and customised however you like – so many possibilities! We had great fun with this product. 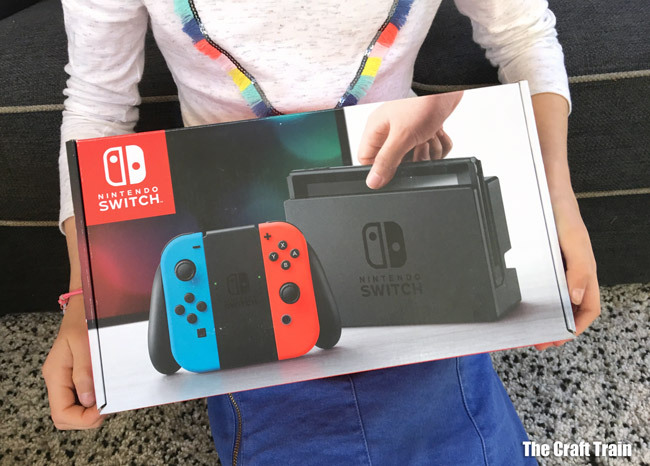 It kept my 8 and 10 year olds busy discovering, learning and playing for hours, but it wouldn’t really be a fair review if I didn’t list the pros and cons. Wow, this is amazing. 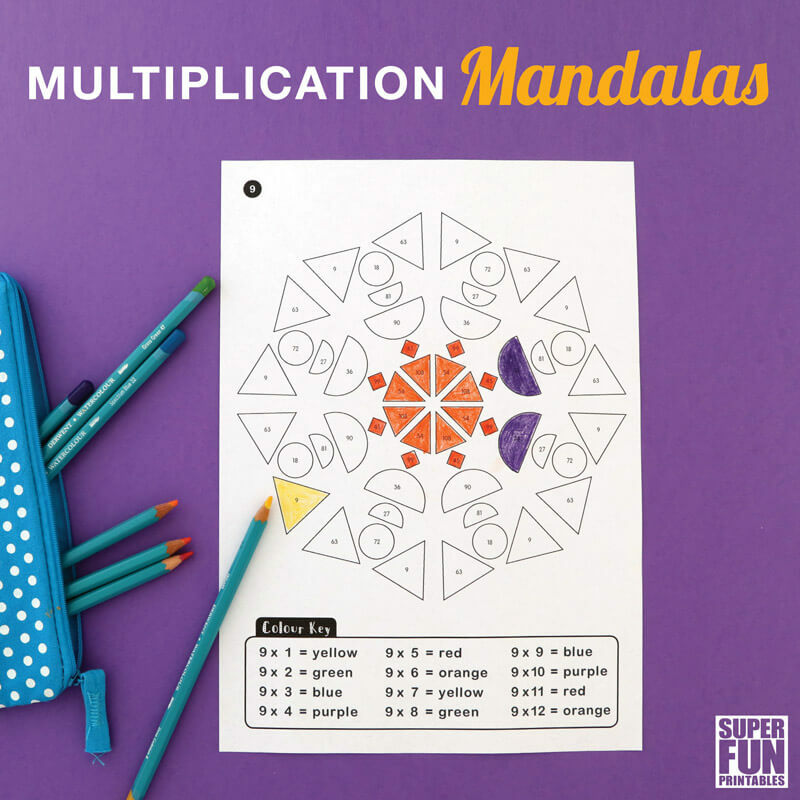 What a fabulous way to extend learning and fun! These look really cool. Do you know where you can get them? My kids have been eyeing this- so great to see it in action!